If any of you "Geeks" have Netflix Steaming, ya gotta watch this. Ya just GOTTA! It is AWESOME!!! I do and I will ma'am. Thanks! HP is sporting a photonic super computer now that uses a unique form of memory transfer. Interesting. Oh, and Big Blue is opening up Quantum Computing to the public. Say Techno, Im curious as to if you have any thoughts about the self driving cars computer technology? I wonder about things like, what would happen to all the cars on the roads, running on computers, if we had a power outage or a cyber attack of some sort. I wonder if thought is going into ideas for a power grid/backup web of some sort, that would come into play in the event of "utilities failures". I have the same concerns for a "robotic workforce". I'm sure it will be just fine. Official Hacker's Game full Movie 2015. You would think most of them have double and triple redundancies built in, but I haven't checked the code-base on the remote driving cars. There was an episode of Cyberwar that shows just how easy it is to hack into the regular cars right now. In fact, it was downright simple. There is so much that could go wrong with self driving cars, that it will take years before they have all the contingencies worked out. It's my belief they are pushing these to market way too quickly. Of course they have the money to pay for lawsuits. (risk / cost-benefit analysis has been done I'm sure,) so from a business stand point, the quicker they can bring them to market and start making a profit, the better for the company. The liability for the company is extremely high, so you can bet everything that happens in the cars - everything - will be logged and piped back to a main server - including user interaction (on vehicles with passengers , or a real driver.) OBD3 does this already to a certain extent. (On Board Diagnostic) There is also a plugin module from one of the insurance companies that offers a 'Good Driver Discount' with a pluggin module that tracks everything. A new study ... suggests it is possible to bind light to a single electron and create a new form of light. The new light form's properties would lead to circuits that work with packages of photons instead of electrons and allow further research of the quantum physical phenomena governing particles smaller than atoms, on a visible scale. Quantum Light Harvesting Hints at Entirely New Form of Computing. I just had a computer setup with Ubuntu <sp>. This is my first Linux system. Any words of advice? I hope to hear how you like it. This is my first Linux system. Any words of advice? What version are you running ? 14.04 LTS, 15.04, 16.10 ...? 1. Turn on the firewall. sudo gufw <enter> Default settings are good to start. 2. Develop an alias list and put it in /home/<username>/.bash_aliases for commonly used commands. Those HashTags [sic] are actually code comment delineators and the code parser will skip anything on that line of the file. You want that conditional statement uncommented so it redirects to the .bash_aliases file. If they contain the '#', backspace the # out and save the file. This one might help later on when you understand the terminal better. Try to avoid single letter aliases as they could cause problems when typing. In the *nixes, the terminal is your friend. Fear it not. Actually, once you get used to it, it's much quicker than the GUI programs. Install Synaptic package manager. It's much better than the software center. (You have your alias list installed - right ? If so...) Ctrl+Alt+t (launch the terminal) then type: fetch synaptic <enter> you will be prompted for your Password. Type it in, then hit enter/return. and save the file. Logout or shutdown, then fire back up. Download and install the restricted audio / video codecs. This will be different between the versions of Ubuntu. Do a search for: '?? things to do after installing ubuntu <your version # here>' Use common sense when following the results of the pages that the query will bring up. For your first *nix distro, enjoy it, play with it, and have fun. Download and install the programs you want - there are 100's of thousands of them, then make a backup. Re-Do Bkp is an excellent program, or you could use the built in utility. Your distro is highly customizable to almost anything you can think of. Just search it out online. Intel partner Colfax Research is offering a free 20-hour hands-on in-depth training on parallel programming and performance optimization in computational applications on Intel architecture. The first run in 2017 begins January 16, 2017. Broadcasts start at 17:00 UTC (9:00 am in San Francisco, 12:00 noon in New York, 5:00 pm in London, 8:00 pm in Moscow, 10:30 pm in New Delhi, 2:00 am in Tokyo). Okay. Here's one for you techy gurus. 'splain this to me. In lay terms, please. Thank you. WHAT IS THIS? HUGE MYSTERY OBJECT APPEARS ABOVE ISRAEL. 1.25.17. Shouldn't this been in the UFO thread? It's not flying, it's falling. Still a UFO. I guess. I don't know. I'm not a techy guru!!! Arm enters horse in HPC race. Haven't seen the name Cray in awhile. Do they still make supercomputers? Are there still supercomputers? There's one in your smartphone, according to George Noory. They just announced the release of a new model in November. Thanks for the article, Doc. 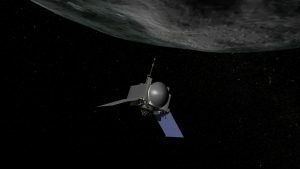 Holding to the CPU front, here's an article on the chips being used in the ' OSIRIS-REx ' Satellite . The site itself is a gold mine of information on CPU's and computing components. It's worth checking out if you're into that sort of thing.
" The Apollo Group carbonaceous asteroid Bennu is a potential Earth impactor... ...NASA decided to just go fetch a bit of Bennu. Thus is the mission of OSIRIS-REx which was launched a few days ago (Sept 8, 2016) aboard an Atlas V 441 as an $850 Million New Frontiers mission. " On a different note; Singularity - Running the Docker alternative utilizing MPI in an HPC environment. What's a vector Super-Computer, you ask ? What's Titan ? In 2012, she was the worlds fastest supercomputer - Manufactured by Cray. A little background on Seymour Cray. Thanks but I'm still not sure what they mean by tensor processing. Any ideas? If you have a discreet graphics card it is referred to as a GPU (Graphics Processing Unit) and lives on the PCI-e bus of the motherboard. 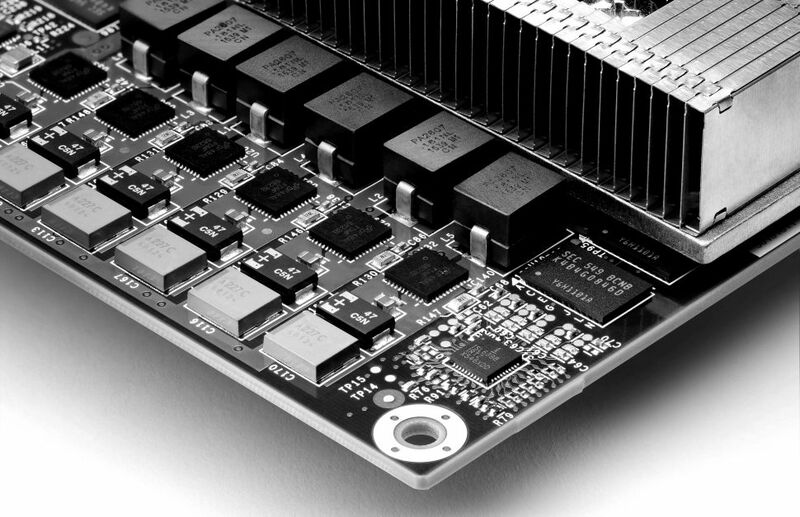 NVidia Tesla's and Intel XEON PHI's are considered co-processors. Basically, you slam a shitload of CPU cores on a gaming card form factor and attach it to the fastest bus on the motherboard. (The PCI Express slot.) It's a way to increase your computing power, but, they generate heat. Think of heat as inefficiency - wasted computing power. Co-processors can do basically anything the CPU can. Now, what Google did, was to take ASICs, (Application Specific Integrated Circuit) which differ from the standard CPU cores in that in a full custom ASIC, you have total control over the size of every transistor forming every logic gate, so you can "fine tune" each gate for optimum performance. A full custom ASIC performs electronic operations as fast as is possible, providing that the circuit design is efficiently architected. They are also extremely power efficient. 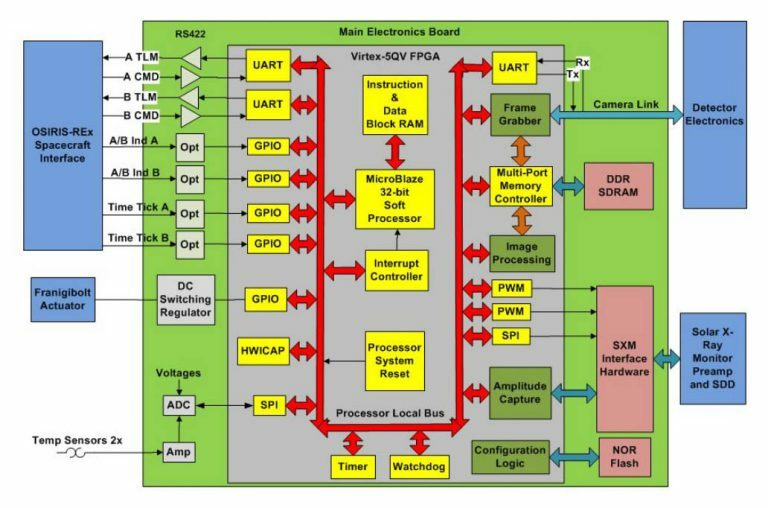 The new Tensor Processing Units, are specifically designed to do only tensor calculations, which means they can fit more transistors on the chip that do only one thing, and do it extremely well--achieving higher efficiency than other types of chips. Tensor calculations are the only thing the TSU does. It won't accelerate your graphics or give you more frames per second. It is a pure compute module. But, if you are using it in the context of what was described in the article, highly complicated tensor calculations (for deep machine learning), the calculations can be accomplished exponentially quicker and at a fraction of the power draw of a GPU, Field Programmable Gate Arrays, or Vision Processing Units. Did that help, or did I just muddy the waters ? A little of both but let me see if I can unpack it and you tell me if I'm on the right track or not. We've kind of reached the limit of how many transistors we can cram into a silicon chip so now we're trying to cram as many co-processors into that small space as well to extend the computational power and/or functionality of the microprocessor? Well, whenever I read about an order of magnitude jump that's pretty exciting. It seemed like we we're stalled for awhile. That's part of it, but they are also using a different approach. Instead of designing silicon for general purpose use, they are designing it to do one thing only, and to do that one thing very well. In specializing the hardware itself, efficiency in speed and power become easier to realize. TensorFlow is the name of the specialized software that was designed to run on the TPU. Found an article that explains it better than I did.